The product is designed for the quick and easy packaging of solid and liquid contents. Also for performance at hard conditions, like the fall from a relatively high height, because it demonstrates high mechanical properties and impact strength. 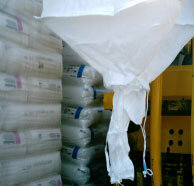 The valve sack has a tight fill valve thus it does not require post sealing. 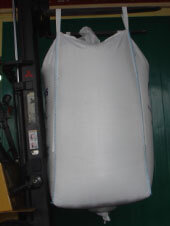 It is indicated for the packaging of lime, animal foods, fertilizers, plastic raw materias, etc. 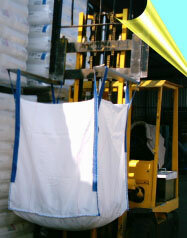 The product is designed for the tightening and safe trasport of paletted loads, through prestretch. It is manufactured as multi layer film, with basic ingredient Linear PE of Very Low Density with prestretch properties starting from 100% (manual stretching), till 250% (for automatic palletizing lines). 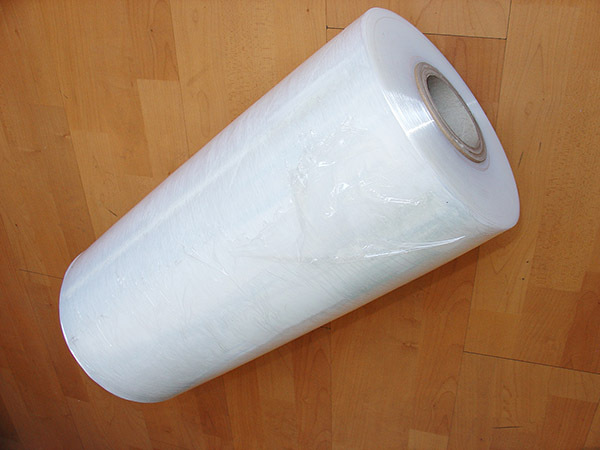 It is supplied in rolls at width 50 cm and 20-23 My thickness. Excellent cling property of the inner layer. » MATERIAL: Web material made of propylene with or without cover with anti- solar protection. 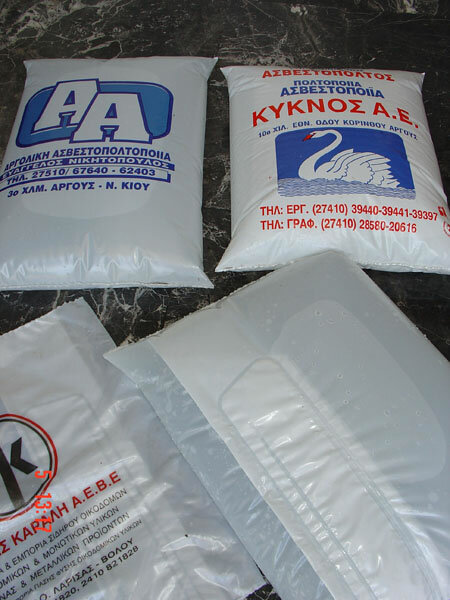 » INTERNAL PLASTIC BAG: Film made of Propylene or Polypropylene. » CAPACITY: 300-2000Kg with 4 points of suspension & 300-2000Kg with 1 and 2 points of suspension. » SAFETY RATE: 5:1 & 6:1. » Quick fill up and turn out of the products which now is done easily with the valves of the roof and the bottom. » Better utilization of the storage space than using packing cases made of paper or wood. » Safe storage of your products. » High safety in case of impact. » It has the less weight of any other way of transportation. » It has the less cost of packing and transportation. 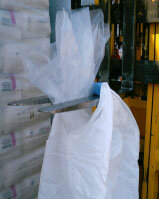 » The material that BIG BAG is made out of is polypropylene and it is 100% recycled.